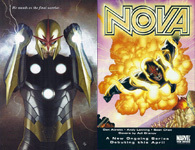 Below are various Nova appearances which have never been published or rarely seen. To see a larger version of the art or the script's text, click on the link. 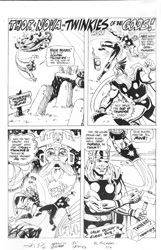 This is a photostat of an unpublished Twinkies ad featuring Nova and Thor. 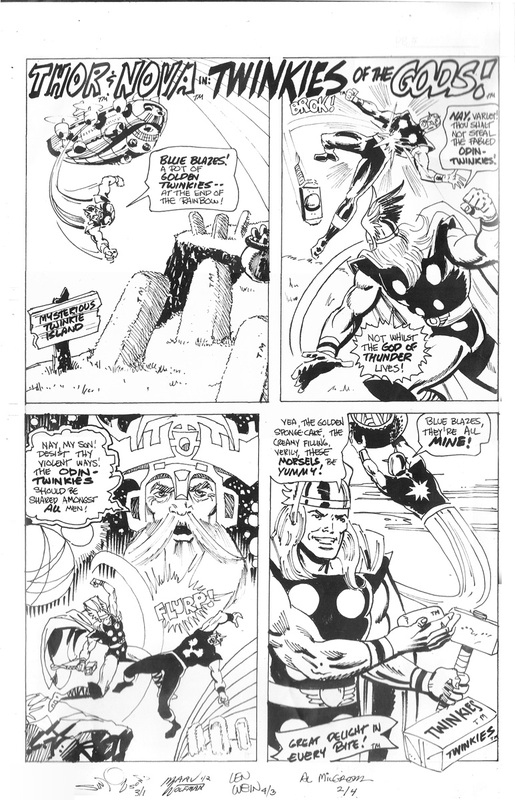 The ad appears to be the work of Walt Simonson, Marv Wolfman, Len Wein, and Al Milgrom (their signatures appear at the bottom of the photostat). The May 16, 1979 issue of Variety magazine featured a full page ad promoting Nova (along with other Marvel heroes) as a character available for movie and television productions. 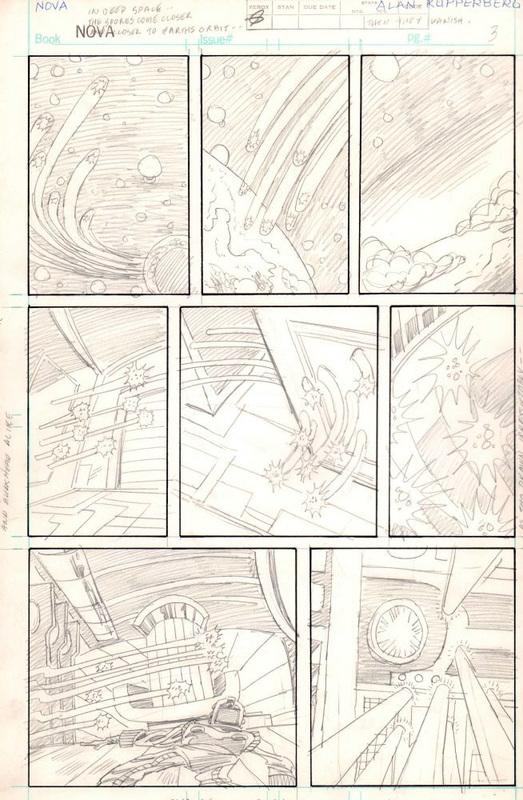 These pages are from an unpublished story by Alan Kupperberg for the original 'The Man Called Nova' series. The story features Nova fighting space spores on board the Nova Prime Starship and includes the P.R.I.M.E. computer. According to Alan Kupperberg, this was "an unpublished fill-in issue of Nova, which was later published as an issue of Iron Man". The Iron Man issue appears to be Iron Man #157. 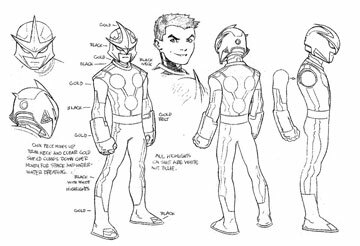 This appears to be a model sheet done by Mike Deodato, Jr. for the Hasbro Nova action figure in 2012. 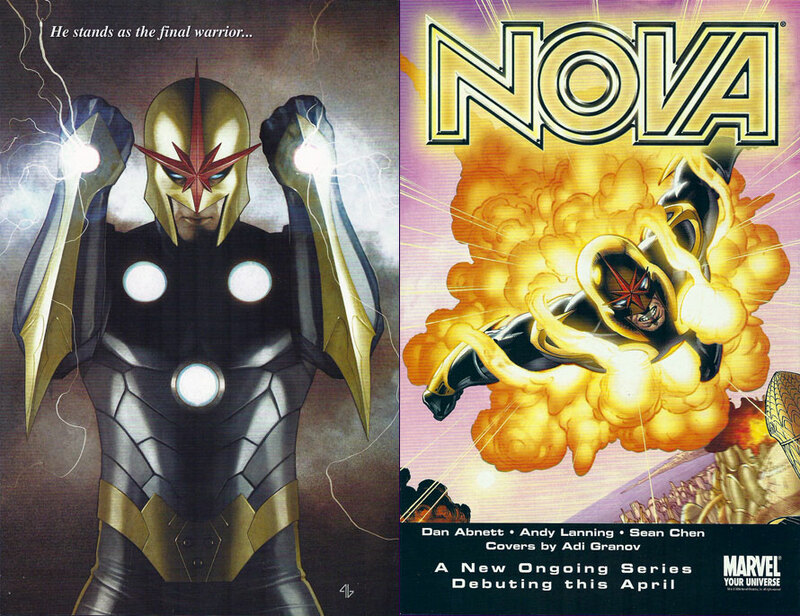 Prior to the release of Nova #1 (2007), Marvel printed a preview of the series to be given out at comic conventions. The giveaway was four pages long including the cover and back cover (pictured). 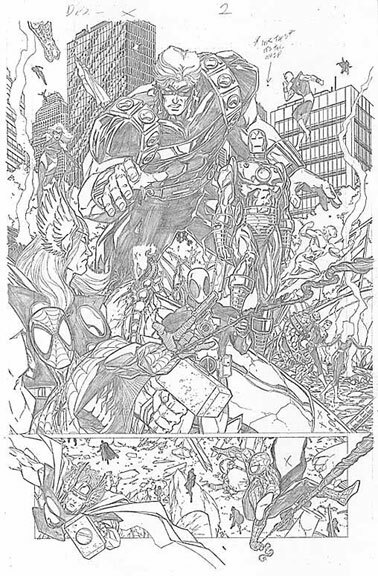 The two remaining pages contained a written summary of the events of Annihilation and a single page from Nova #1. This is an unused original cover to Nova #17 v4. The artwork for this cover to #17 was done by Paul Davidson! 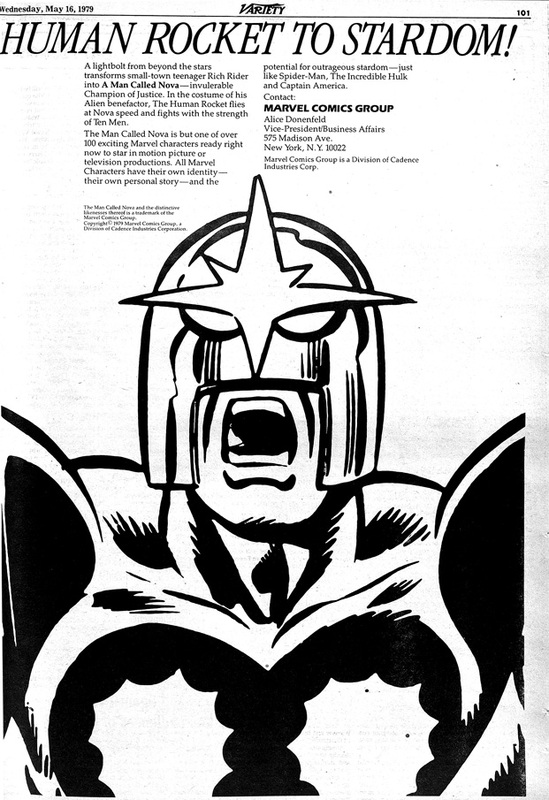 This is the unused original cover to The Man Called Nova #7 by Dave Cockrum! On the cover, you can see the notes from Marv Wolfman to Jack Kirby. Wolfman gave Kirby the work done by Cockrum with instructions on how he wanted a new version of the cover to look. 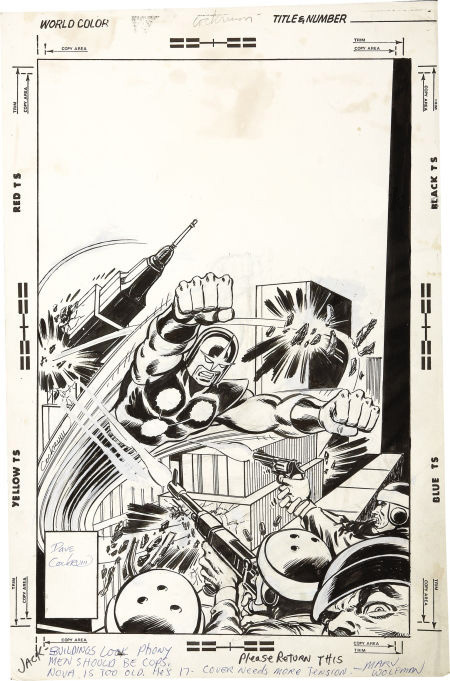 Kirby's version appeared as the cover to #7. Special thanks to Mark Levy for the scan!! This is an unpublished page to what appears to be a New Defenders series that never made publication. The art is by former Nova: The Human Rocket artist Joe Bennett. The art features Namorita and BOTH Novas (Rich Rider and Frankie Raye)! Joe recalls: "This was a tryout for a new series called THE NEW DEFENDERS. It was a crazy dream of a mad man, that I did for a friend. In the end to all this was a great big NO to the dream. I did two pages and a cover, I think almost 11 years ago (around 1997). It was never published by Marvel, they ignored it." Special thanks to Peter Legare for the scan!! 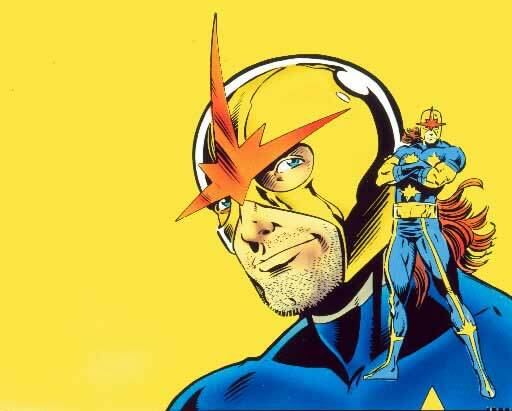 In an e-mail exchange with Nova fan Andy Mokler, Nova's creator Marv Wolfman revealed the meaning of the three starbursts that are on Nova's chest. 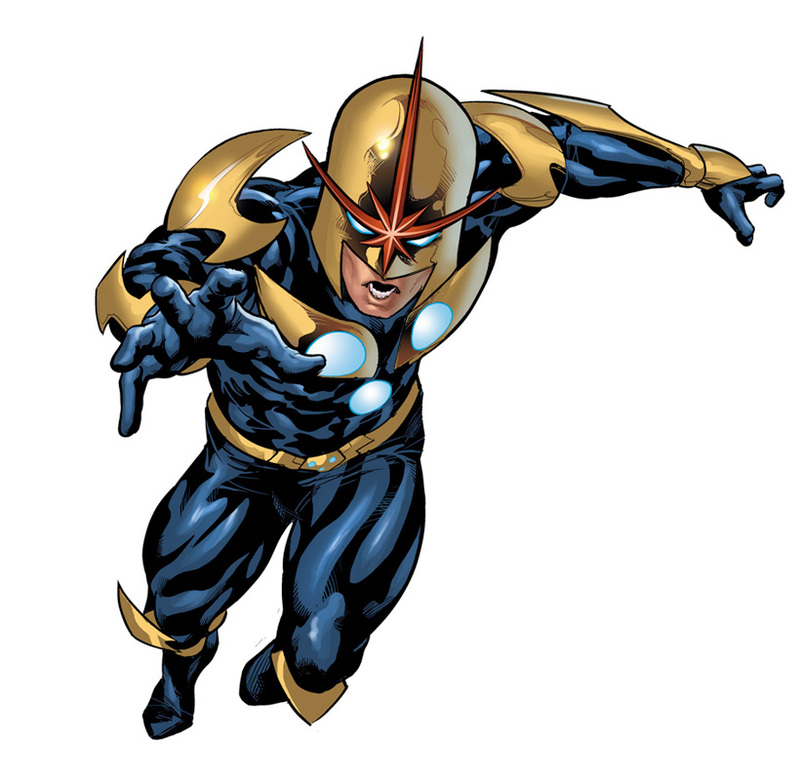 Marv explained that "They symbolize the three worlds of his solar system that created the Nova Corps." In a follow-up e-mail, I asked Marv about the big starburst on Nova's back and if it perhaps symbolized the sun of the Tranta System (the solar system of Xandar). Marv's response to me was "No. it was just a design element, like Spider-Man's back spider." Special thanks to Andy for sharing his information!!! Unpublished Villain From Nova's First Series. 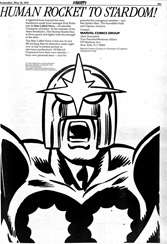 Issue #15 of Marvel's official magazine, FOOM, talked about Marv Wolfman's early plans for Nova. 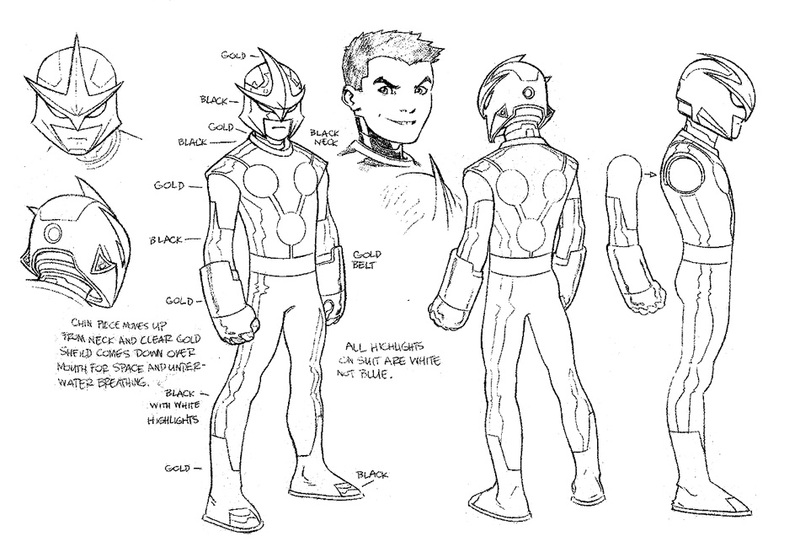 It mentions that Nova was going to battle a villain tentatively named Disastro. Based on the magazine's description, this appears to have been the original name for Megaman. 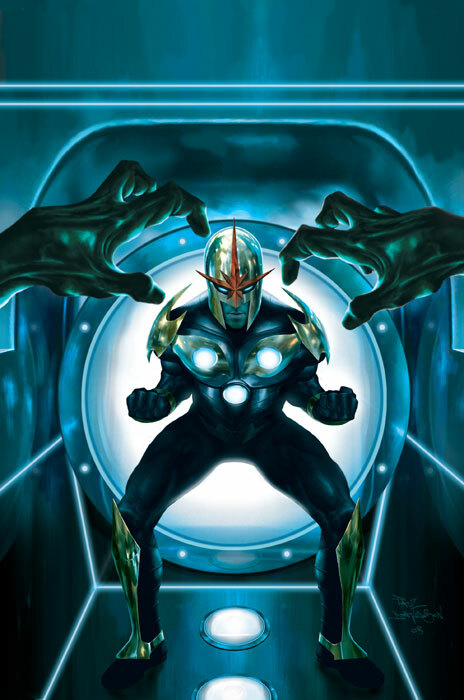 Nova artwork from the 1993 Marvel Super Heroes card. This is the artwork used in the 1993 Marvel Super Heroes card set. 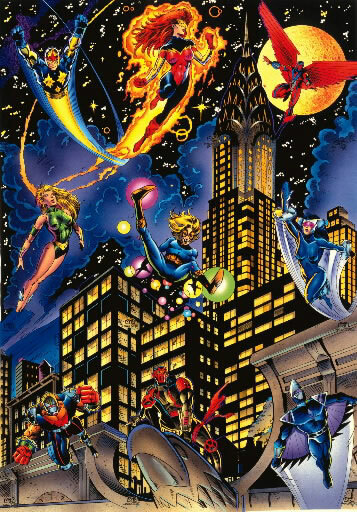 It was featured on the back of the Nova card (#19) which, in turn, was part of the nine cards that made up the New Warriors subset (see below). Art by Darick Robertson. This artwork is courtesy of marvel.com. This is the 19-page outline for Jim Shooter's sequel to the Avengers' Korvac Saga. 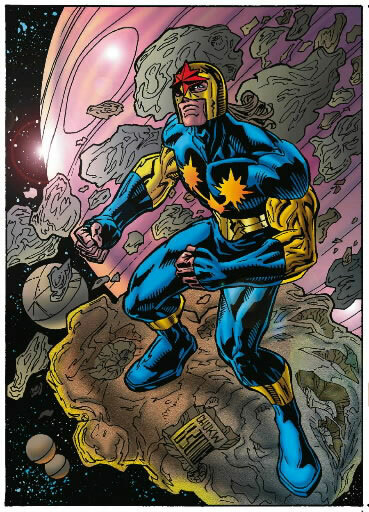 Nova was to have a prominent role in the story. It featured the death of Rich Rider and the passing of the Nova Force to a new Nova! This is the full artwork used for the New Warriors cards in the Marvel Super Heroes card set. The nine-cards made up the New Warriors subset. This artwork is courtesy of marvel.com. Art by Darick Robertson. Thanks to David Gallaher for his assistance with the information! This art piece by Chuck Wojeck was used in the 1998 role-playing game called the "Marvel Super Heroes Adventure Game" which was published by TCR using the SAGA game rules. This artwork is courtesy of marvel.com. Thanks to Corey Blake and David Gallaher for the information about the art! This is page 2 from a Deadpool inventory story by Jim Caliafore. This art comes courtesy of the incredible X-Men web site; X-Fan. 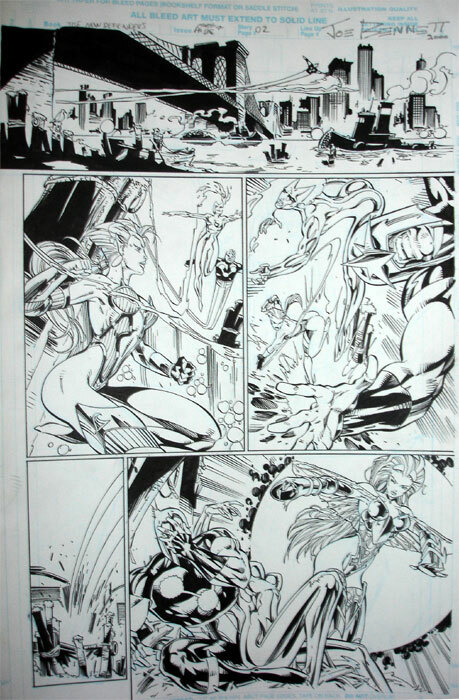 Of the available art, Nova is only seen in the page shown here. 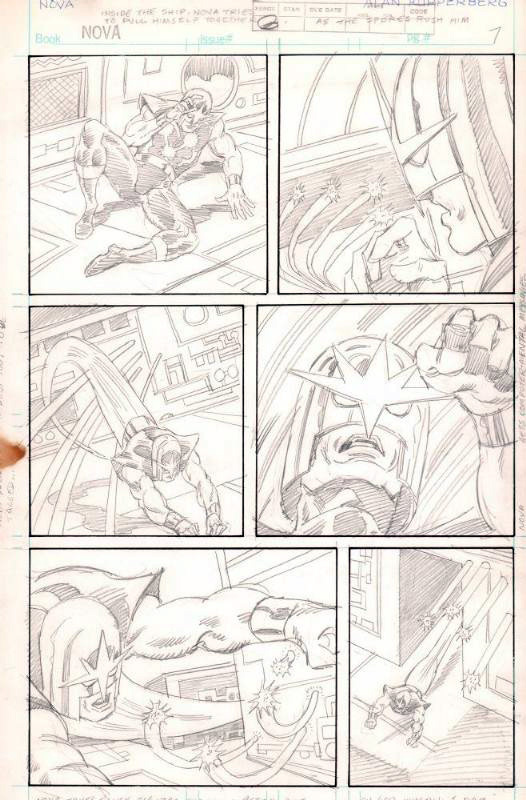 This is an unused page from Nova #1 of Erik Larsen's Nova series (v3). 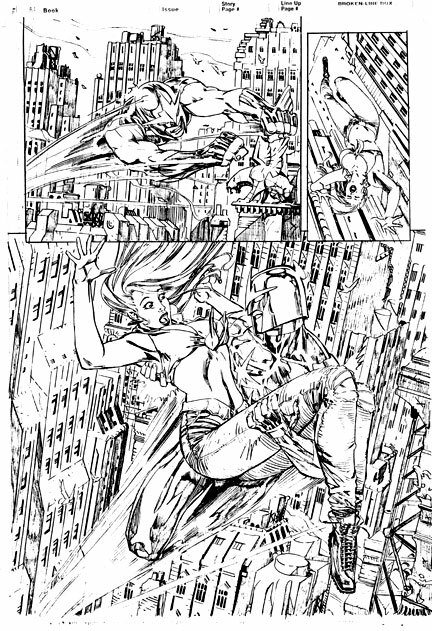 The pencils are by Joe Bennett and features Nova rescuing a young woman who fell from a building! This is an unused splash page from Nova #5 of Erik Larsen's Nova series (v3). The pencils are by Coy Turnbull! This is the unpublished cover of Nova #8 from Erik Larsen's Nova series (v3). 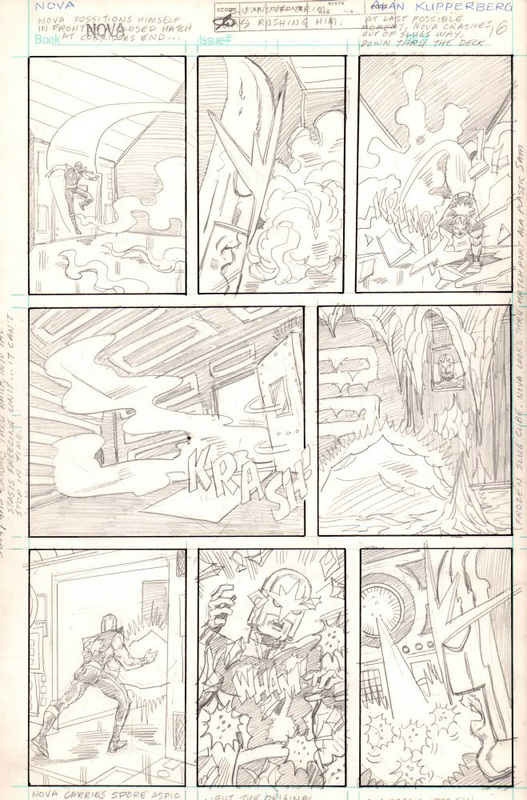 The pencils are by Erik Larsen and inks are by Jerry Ordway. 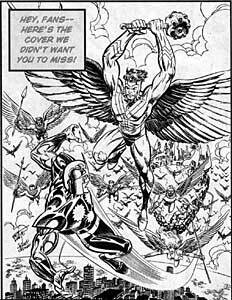 The cover features Nova battling Red Raven and his army of bird men. Marvel Comics Superheroes #1 was a Style Guide from 1977 which was never published. 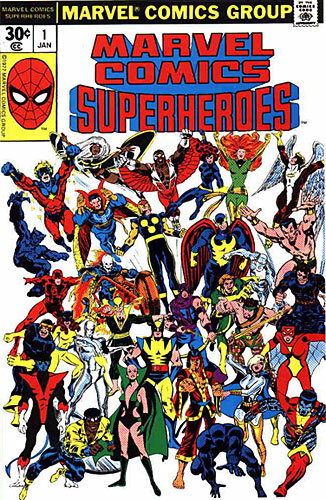 The cover contains an collage of Marvel heroes taken from previously published art. The style guide folded out into 3 pages containing almost 40 different shots of Marvel heroes, including their logos!